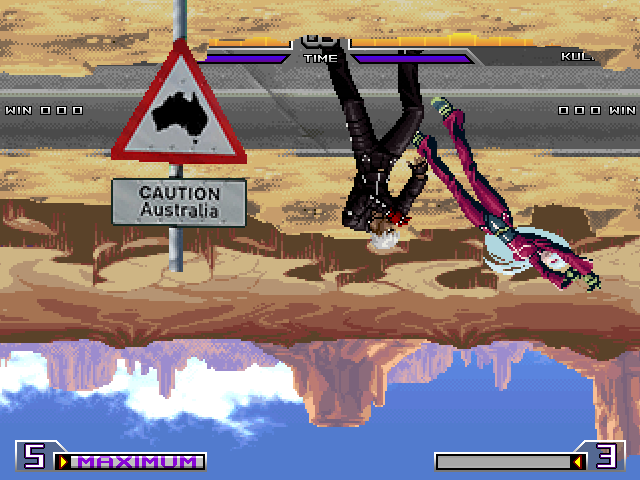 Down Under just got a whole lot literal. Some Looney Tunes type humor here. Beautiful joke, it's been ages since I've found a joke I can appreciate. Huh, never knew that you can fight upside down. Nice concept, although I could think this will mess with many positional parameters and effects. I was just thinking of doing a stage upside down...and I never saw this till today. Wow. Very cool. I'm very curious about the gameplay of the scenario that I have to download now!